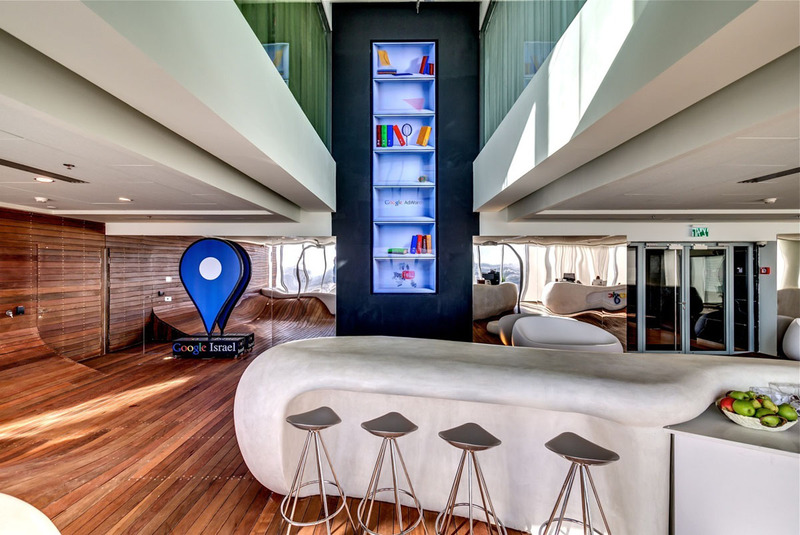 Designed by Swiss Design Team Camenzind Evolution, in collaboration with Israeli Design Teams Setter Architects and Studio Yaron Tal, the Google office in Tel Aviv, Israel occupies 8 floors in the prestigious Electra Tower in Central Tel Aviv. The inspiring office interiors enjoy breathtaking views across the city and the sea. Take a look at how Google keeps its computer servers running at their 13 data centers around the world (6 in the U.S., 3 in Europe, 3 in Asia and 1 in Chile). Massive amount of water is required to cool the IT equipment round the clock. 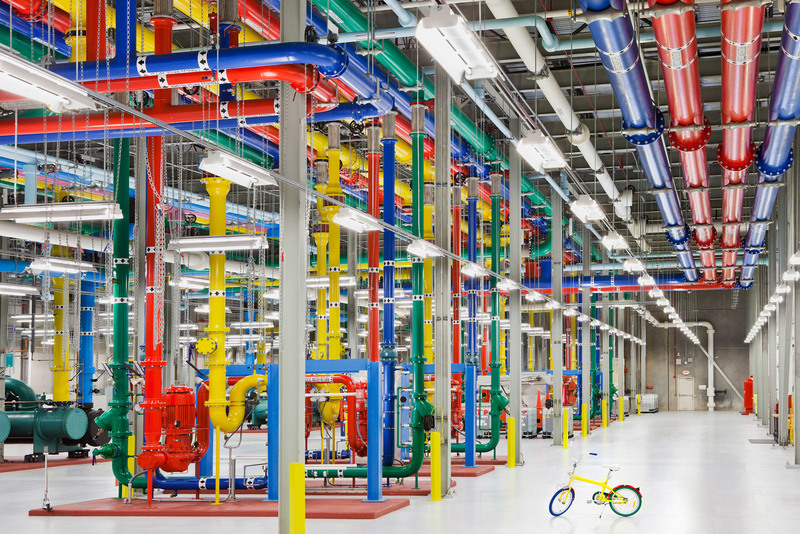 Inside the facilities, colorful pipes carry water in and out of the data centers. 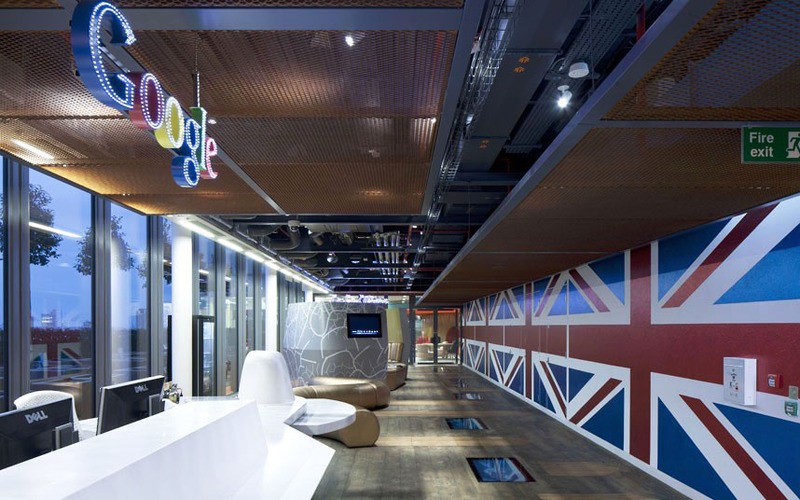 The new Google headquarters in London, England occupies half of the Central Saint Giles development at 1 St Giles High Street. The 160,000 sq. ft. interior space has a quirky cutting-edge design by PENSON. A mix of modern and 70s retro style defines this unique workspace, which features many lounging areas.